The lady who came in to say she wanted to use the practice to become stronger after recovering from cancer, and subsequently feeling her body again in a positive way. And the tears of comfort relief that flowed as a response. The man who gently realised it was okay to feel sadness, cry and be held by another man in comfort. The lady who began to see that strength was in the kindness shown to herself and her body, when for years that had been hidden, alien. The tenderness of the many as grief in the loss of someone close and loved turns into acknowledgement of their memory, the legacy of their life, and the gifts that will always be there in holding that dear. These things seem so personal and of course they are. 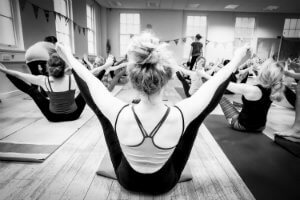 Yet I have encountered all these things in my role as a yoga teacher, in the frame of someone who guides and helps people to meet themselves through a personal yoga practice in a tender way over days, months and years. The longer I do this work the more I see that I am supporting people to develop more than just a physical strength related to yoga asanas. I notice that something else evolves too. Strength can be awakened in a myriad of ways. From the gross to the subtle, a yoga practice offers fertile ground for discovering and nurturing parts of ourselves that are unseen, yet to be experienced as something we know in ourselves as strength. Whether it is a stronger body or a stronger mind, long term practice can wake us up to this. Yoga wakes us up to noticing that we can experience the world in an infinite number of ways. And the strength is in learning to do this with equanimity and balance, whether it’s with the body or the mind. In fact, yoga nurtures both. Yoga is both. Strength can be awakened in a myriad of ways. Seeing the body not just as a powerful tool to realise physical strength, resilience and energy in achieving physical goals, but also as a way to experience the softest, quietest of moments, feelings and emotions. Experiencing the breath as not only a source of immense strength and power to be able to call on, but also as a way to experience the deepest relaxation and letting go. The focus of the mind to achieve not only the strongest of wills and achievements, but also the deepest contentment that can be open to our experience. If we’re careful, long term yoga practice and personal sadhana (study) can turn us towards these moments. To help us see that we can hold both the strongest and gentlest awareness at the same time. That these experiences move together like the inhale and exhale. Always together, always part of each other. There is strength in this awareness. To be able to hold strong and gentle viewpoints and see the same in both. To be able to experience both the in breath and the out breath and see one in the other. Importantly, this happens when we allow ourselves to become still. Learning to become still at the beginning and end of practice allows us to reference how we meet what happens in between these points. We can see what takes us away from being still and notice the layers of our perceptions that divert us. Ultimately, it can let us hold stillness as a fuller way of being in and seeing the world. In practice, connecting to stillness can happen in the pause between the inhale and the exhale. The letting go of concepts and stories can happen when we notice the peace between thoughts. These are ways our practice can evolve and strengthen the relationship between the body and the mind. Ultimately, in stillness, language and the way we speak to ourselves becomes known. The subsequent letting go of that language and story allows us to meet moment-to-moment awareness. In practice, connecting to stillness can happen in the pause between the inhale and the exhale. The physical practice of Ashtanga yoga opens this up to us. Over a period of time we realise that to achieve some of the postures we are wrestling with there has to be a letting go. A release. Something has to fall away so something else can open. This is how life is. Constantly meeting new moments in a way that allows for us to be present is what yoga proposes, and challenges. It’s a letting go that happens over time. Through practice itself. When undertaking a change of direction, meeting a difficult challenge or coming up against problems, it is our awareness of it that allows us to respond. So, when we meet ourselves regularly with a consistent contemplative practice, it helps us to see ourselves like nothing else. As ourselves. With viewpoints that need challenging constantly, with a body that needs wrestling with so we can truly understands its knots. The beauty of yoga is that the challenge and the goal are the same. To realise that meeting the challenges of our lives can allow us to become open, more compassionate, empathetic and stronger versions of ourselves, and that we never stop opening. When undertaking a change of direction or meeting a difficult challenge, it is our awareness of it that allows us to respond. I feel so privileged to be able to share and use this practice as a tool for people to help discover whatever strength means to them. For me, strength comes in the way we can hold ourselves while we meet others. How we can hold ourselves as we move through the many, many layers of life. Over time, we can grow this awareness, let go of things that challenge us and really see what’s possible for us in this life. Our challenge is not only to grow this in ourselves, but to also cultivate it while relating to others. We are all growing old, but we are growing old together. Would you like to practice with strength and gentleness? 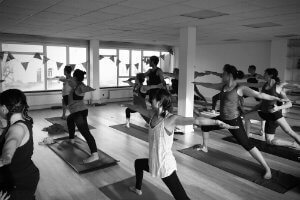 We offer Ashtanga yoga assisted Mysore self-practice classes every Monday to Friday 6:30-10:00am. 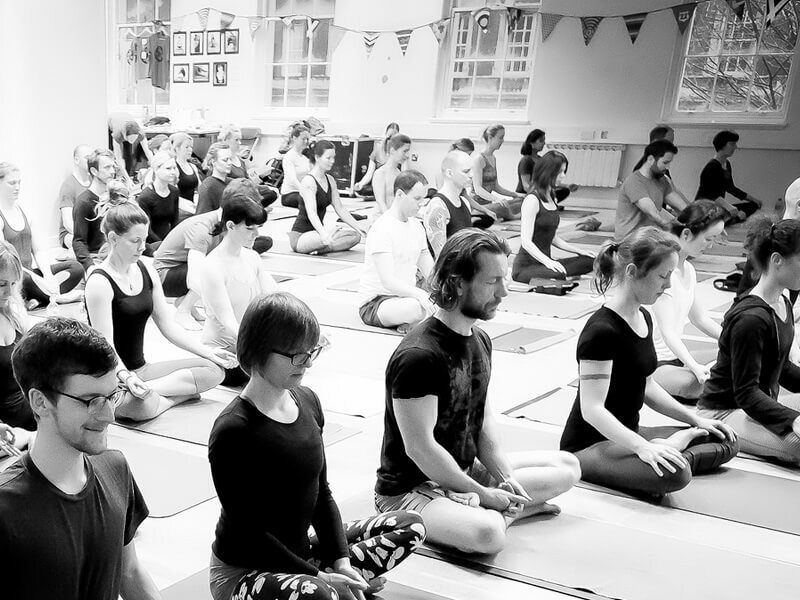 We invite all practitioners to come join us on the mat, and start cultivating strength and gentleness in your practice.